Maintaining a safe workplace environment is more than just good business practice — it's the law. Attend this powerful one-day seminar, and discover how to make sure your workplace is safe, secure, and Cal/OSHA compliant. In just one day of intensive, fast-paced training, we'll cover all of the latest regulatory information concerning safety, health, and environmental issues in the workplace. You'll discover dozens of cost-effective ways for getting your organization into compliance, learn how to expand the effectiveness of your safety training program, find out how to keep the meticulous records required by Cal/OSHA, and learn how to assess your organization for a variety of hazards. Sign up for this seminar now — and avoid costly Cal/OSHA slip-ups in the future! Does the duty to provide a reasonable accommodation to a disabled worker under the Americans With Disabilities Act conflict with Cal/OSHA’s requirements to provide a safe workplace under the General Duty Clause? 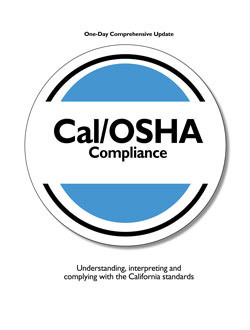 According to Cal/OSHA, are you responsible for the safety of temporary employees? What about third-party contractors? The answers might surprise you! Material Safety Data Sheets — where do you get them? Do you have to have a hard-paper copy of them? How long do you retain them? Do you have to keep them in a language other than English? The bottom line — how much money can Cal/OSHA citations really cost you? How to conduct your own Cal/OSHA inspection — Catch and correct problems before they become big headaches! Where can you keep and maintain Cal/OSHA records? 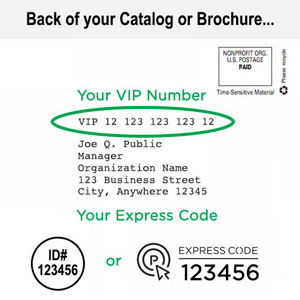 How should you choose an official record keeper?